Titanium frame with excellent components spec (click to enlarge). We don’t know how Bikes Direct does it, but they’re continually able to sell bikes that cost less than the sum of all components. We checked out their Motobecane Ti mountain bike and their road bikes recently and they fared well. What we really liked was their titanium frame cause it looked great and rode even better. 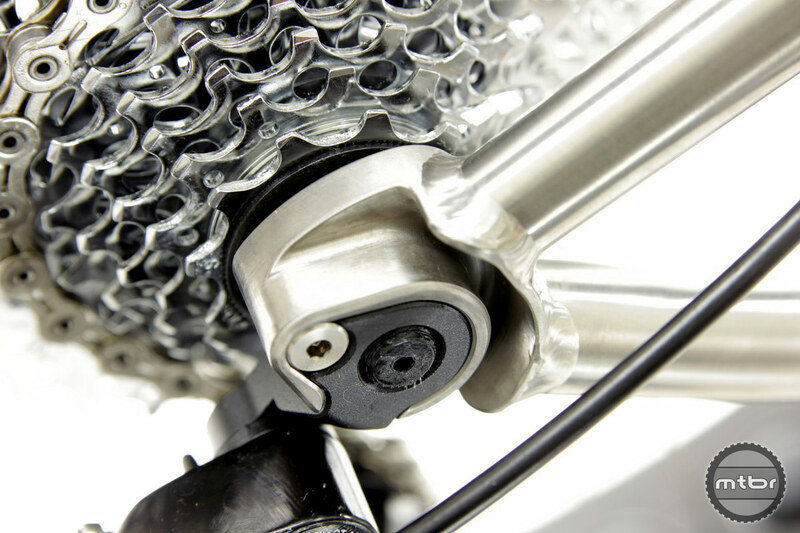 It really was not easy to detect the cosmetic or the ride difference between this Ti frame and boutique brands. Motobecane NightTrain seat tube (click to enlarge). 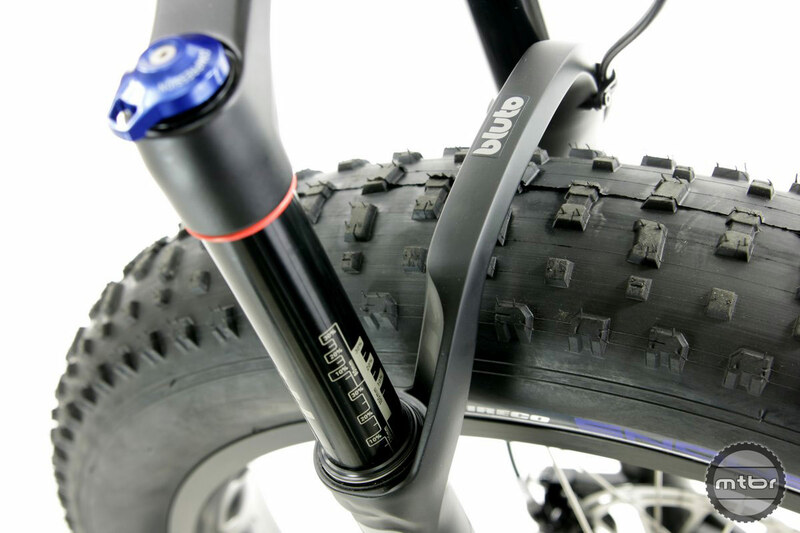 That’s why this Ti fat bike introduction is quite interesting. They will bring to market bikes with well built Ti frames and good component specs. Titanium seems to be a great match for fat bikes since it does not corrode. 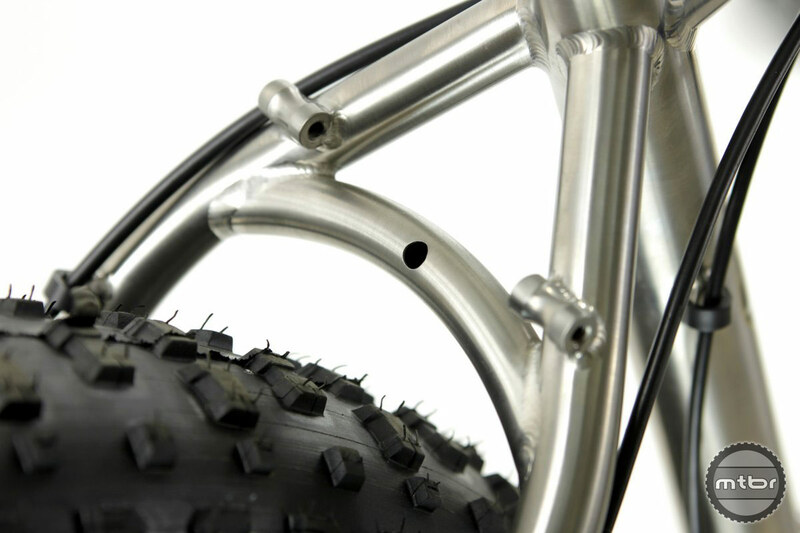 Often used in snow, sand or salty areas, frame corrosion is a key enemy of fat bikes. Motobecane NightTrain dropouts (click to enlarge). The NightTrain Ti Bullet is different from the Sturgis as it upgrades to RaceFace Turbine cranks, Guide RS Brakes, SRAM X9, and 120 TPI tires. Click here for more info in the Sturgis Bullet and the NightTrain Bullet. Titanium frame with excellent components spec. Motobecane NightTrain with RockShox Bluto suspension fork. 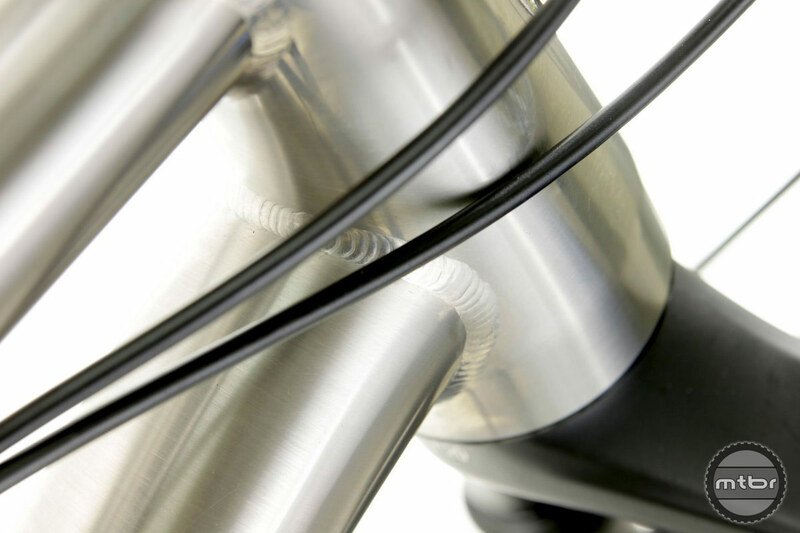 Motobecane NightTrain head tube is tapered. 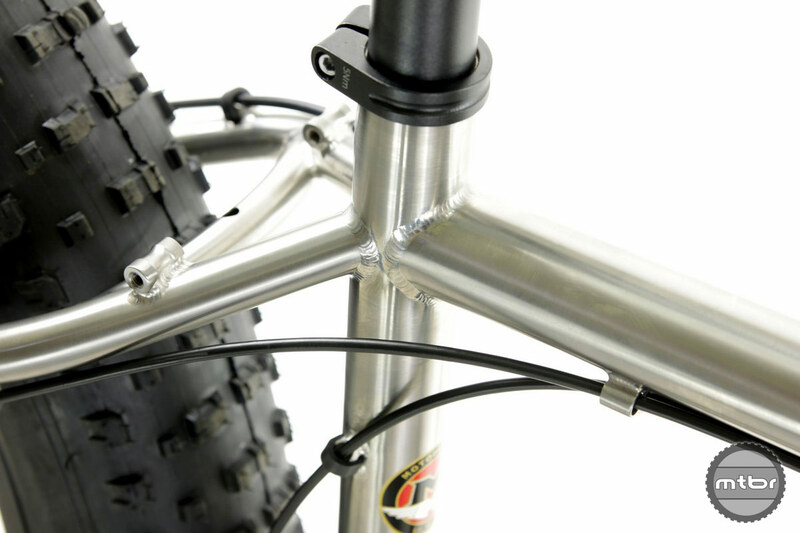 Motobecane NightTrain seatstays have room for up to 5.0 inch tires. Motobecane Sturgis has the same frame as the Sturgis but has a lower level spec. that’s a sweet deal on a Ti fat bike!! I got my Motobecane 2016 Sturgis Bullet Ti last week after much hand ringing, and could not be happier. I can’t believe how much bike I got for the money. Great deal so far! What does it end up weighing assembled? I’m considering one of these. How much does your Motobecane 2016 Sturgis Bullet Ti weigh? I’m interested, but would like that information before I purchase. Come on, someone lift the bike while they are on a bathroom scale and then subtract their own weight. I want one but I gotta know before I drop $2300. POST THE WEIGHT ALLREADY!! Word is it weighs ~35lb, approximately the same as the aluminum. How much does it weigh? You have to be kidding me. It’s a FAT bike, for crying out loud. If you are contemplating buying a fat bike… and are concerned with “weight”… then save your $2300 and buy a regular mountain bike. 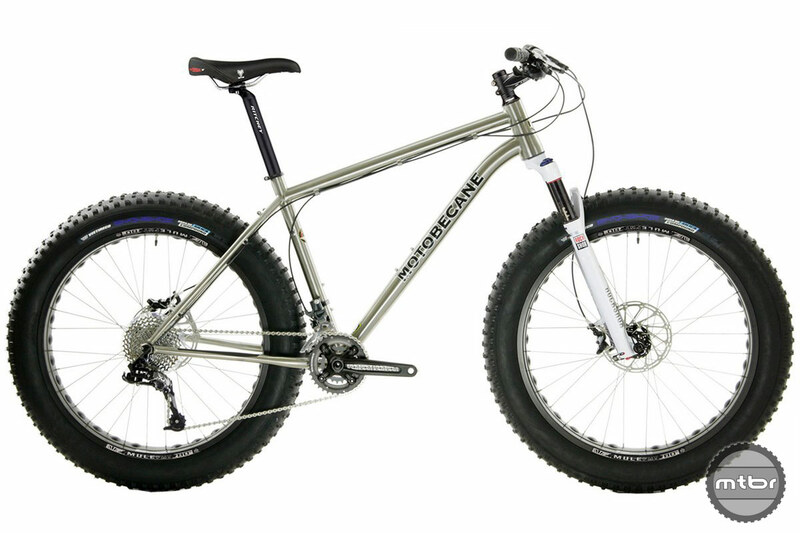 ALL fat bikes are far heavier than regular mountain bikes. Weight has very little do with a bikes performance…. even 5 pounds one way or the other makes little difference. A 200 pound man’s body weight normally fluctuates 5-7 pounds daily…… so a bike weighing 5 pounds one way or the other means very little. Get over it and buy a fat bike and stop worrying about weight. Nothing wrong with considering and asking about weight on a bike. Someone said 35 pounds which is flat wrong. I rebuilt mine (carbon fork) with different components and somewhat lighter wheels, running tubeless, 1×10 drivetrain, and I’m right around 25 pounds, which is nice. I don’t think I’d enjoy riding a 35-40 pound fat bike nearly as much. Cheers.